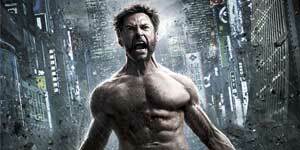 At long last, we have our first trailer for James Mangold’s The Wolverine. We’ve seen a number of pictures the last few months courtesy of various news outlets and Mangold’s Twitter feed, but this is the first solid footage we’ve had, which is surprising considering the film comes out in July. Regardless, this trailer seems to deliver the goods. It takes place post X-Men: The Last Stand (which I’m sure we’d all like to forget) and doesn’t look like any X-Men film we’ve seen, which is a good thing. You see Wolverine in all his glory, but you get a sense that this film focuses a lot on Wolverine’s psychology and search for identity. I’m excited for this movie, and hopefully we’ll see more footage in the coming months. A part of me still wonders, though, what this film might have looked like had Darren Aronofsky stayed on as director.